DEERFIELD, Ill. – Walgreens and Sprint announced an expansion of the collaboration they had announced earlier this year, that will include 80 new locations. All of the new Sprint Express at Walgreens stores will be throughout Chicagoland and the Dallas-Ft. Worth metropolitan area, and are planned to open by the end of the year. As part of the expansion, Sprint will be hiring to fill a variety of positions. To find Sprint at Walgreens career opportunities please visit www.sprint.com/sprintatwalgreens. Sprint has been recognized as a Military Friendly Company and a Top Employer for Individuals with Disabilities. 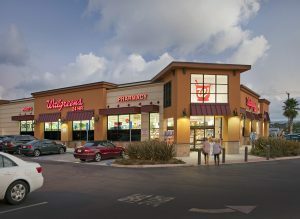 Sprint is also introducing exclusive wireless savings for the 250,000 Walgreens employees nationwide and their families. Sprint will offer unique Boost Mobile and Sprint-branded offers and plans for those employees who select Sprint for wireless plans services.